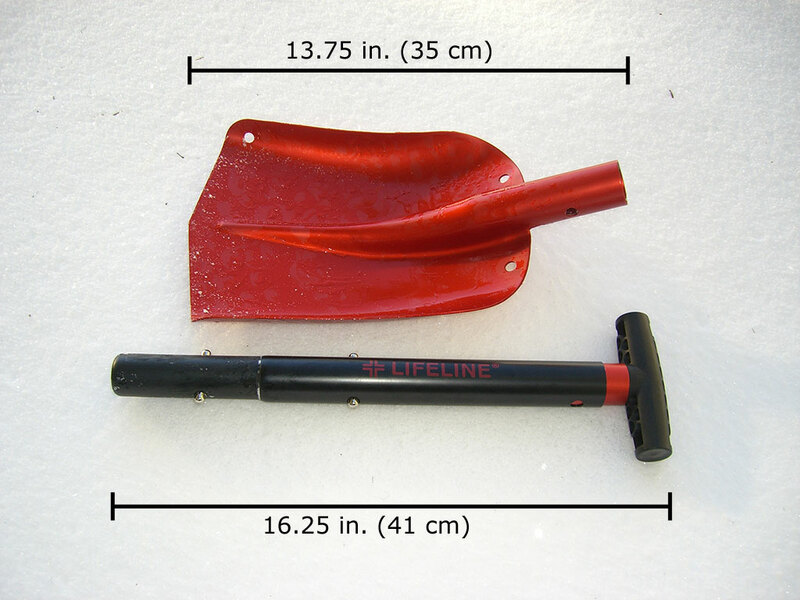 The Lifeline Aluminum Sport Utility Snow Shovel comes in three colors: red, gold, and teal. The all-aluminum construction (except top of handle) makes quick work of any task. 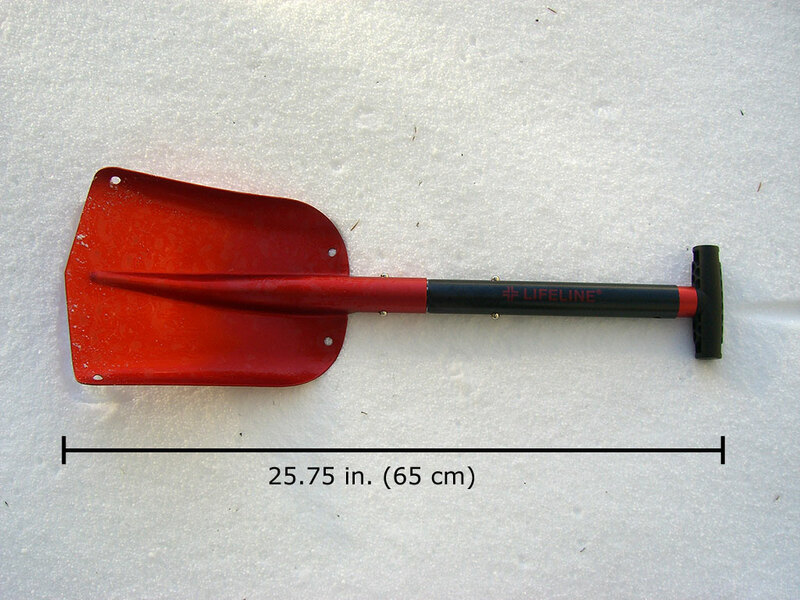 This Lifeline Snow Shovel adjusts from 25.25 inches to 32.25 inches and breaks down to three pieces for easy storage and transport. It is great for any outdoor adventure like snowshoeing, cross-country skiing, and snowmobiling. Also great to keep in cars, trucks, or SUVs. Size: 25.75 in. or 32.25 in. (expanded) x 8.25 in. On my first snow camping trip this year, I had a plastic snow shovel with me. It had worked fine on the driveway at home, but did not stand up to the rigors of digging large amounts of snow in the wilderness. On my next trip, I brought along my newly purchased Lifeline Aluminum Sport Utility Snow Shovel (from amazon.com). Aside from packing easier and weighing less, it is also much more durable. Even with the relatively small scoop (8.25 inches wide), it does a great job of moving large amounts of snow in a short time. It works fine busting through thinner ice, but a heavier steel shovel is needed for thicker rock-solid ice. I have used the Lifeline Snow Shovel to dig fire pits four feet down to bare earth with relative ease. It also makes short work of leveling an area for your tent. The snow shovel feels sturdy and does not flex like plastic snow shovels often do. There is slight movement between the three sections during use, but this does not hinder performance in any way. 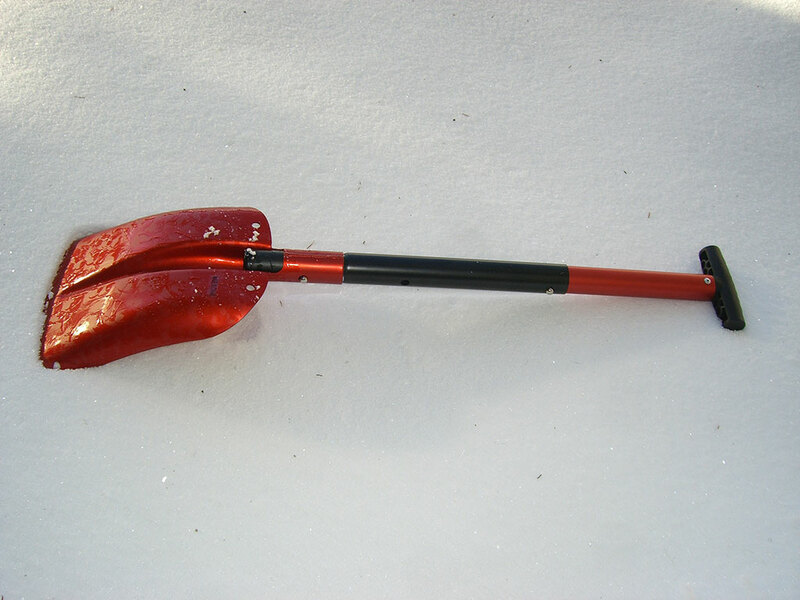 I have not tried any of the more expensive name-brand portable snow shovels, but after finding the Lifeline Snow Shovel, there is no need in my opinion. One of the best features is how easy it dismantles for storage and travel. It easily fits in a backpack or can be strapped to the outside. Simply hold in the metal tension buttons and pull apart. The only issue I encountered was when trying to dismantle the snow shovel after submerging it in water. It was so cold the water froze in seconds. A couple firm taps on the handle coupled with a twisting motion easily freed the pieces. I am not sure what type of finish is on the Lifeline Snow Shovel, but it is holding up remarkably well. 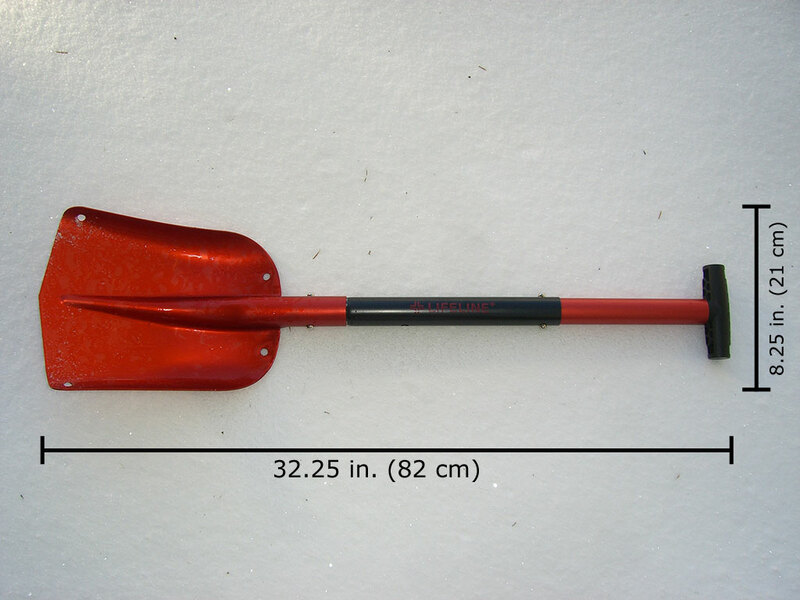 See "Snowshoeing to Twin Lakes", "Snow Camping at Twin Lakes", and Snow Camping in Upper Clackamas" where this snow shovel was used. The Lifeline Aluminum Snow Shovel has been an indispensable tool on all its snow trips this year. 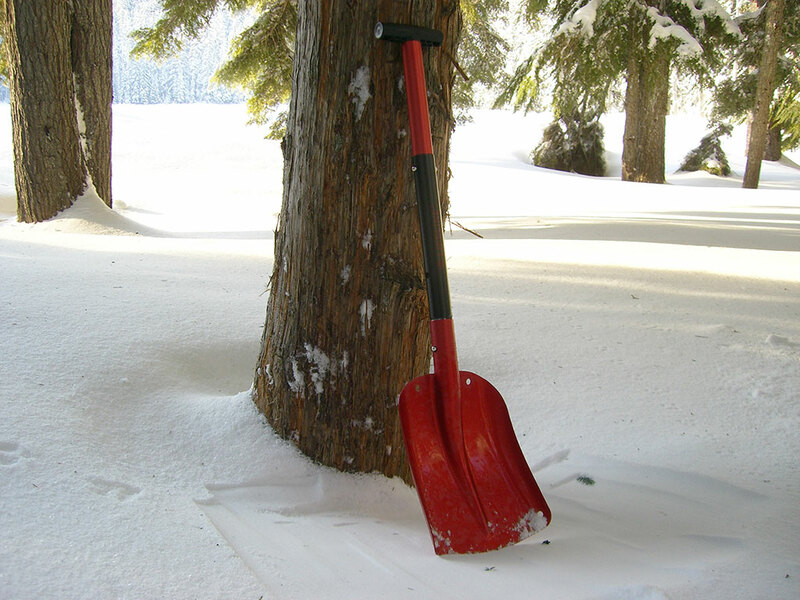 This snow shovel has held up great in powder, wet snow, and ice without any signs of stress. I highly recommend the Lifeline Aluminum Sport Utility Snow Shovel, especially considering its low price. Do not leave home without one! Available from amazon.com.